We all love our communities, but even the best communities can use a little improvement now and then. What better way to bring new ideas to life than becoming a leader in your community and implementing them yourself? As a leader, you can motivate others and inspire the kind of change that turns into a revolution, similar to our friends at BMe Community. Not sure how to get started? We have a few ways that can help. One of the most vital steps you can take in becoming a community leader is to find causes you believe in and offer visible and vocal support for those causes. Sometimes, this means showing up for things like #BlackLivesMatter rallies or using social media to support movements like #TakeAKnee. Other times, it might mean helping individuals or groups hand out their fliers and newsletters. Over time, people will see that you are willing to stand up for powerful causes. They will trust you as an authority over issues that matter and will be more likely to listen to you when you put forth your own causes and calls to action. We’ve all heard that “the children are our future” time and time again. That’s because they are! And children in our community need leaders who they can trust for wisdom and guidance. You can provide that leadership by offering to give presentations to local schools and community colleges. There are plenty of options, including discussing figures of Black excellence during Black History Month, sharing the principles of Kwanzaa or discussing ways children can get involved in their community themselves. It’s important for our children to see a person of color in a position of authority and power to show them that representation matters. Beyond your actual presentation, your mere presence will help show our children that they, too, can become community leaders. Every great community leader eventually runs into a large but important roadblock: major change involves major politics. To create long-term change, you can involve yourself in different levels of government and administration. This can range from attending school board meetings to possibly running for an elected office. No matter your position within a power structure, you can propose new policies and programs that will not only benefit you, but help our community. And, you can make your position known: tell your church, friends, family, and other networks about what you have proposed and ask them to help spread the word. The more you become trusted as a community leader, the more people will listen to what you have to say. And, the more followers you have, the greater influence you have, meaning the more likely it is that you can ensure that your proposed policies and programs become a reality. 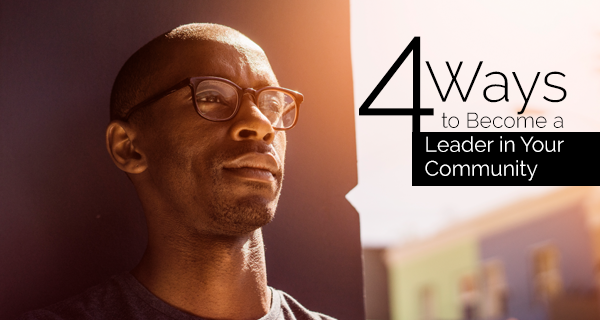 Over time, community leaders will often have many people who wish to learn from them. You can show the community exactly what you have to offer by becoming a mentor to a young person with great energy and aspiration. Such a person can help to spread your ideas and induce public support for the ideas and actions you support. They will also serve as your representative, showing the community how your knowledge and energy has transformed someone’s life. When they see your power and prowess as a mentor, you’ll have even more people who wish to learn from you! Becoming a community leader is one of the best ways that you can invest in yourself and our community. However, it’s a long journey, and it won’t always be easy. If you follow our easy steps, though, then every day will bring you one step closer to your goals! Hello, My name is Sonya Harris. I reside in Mattapan, Ma. I am a mom, educator, mentor, and independent author in the community.This message is responding to your call for community leadership around raising and promoting financial awareness, especially for our youth.I have completed two children's books with a money theme and would like to inquire more about your community partnerships or openness to building new partnerships. May I please have the contact information for OneUnited Bank's Community Relations Liaison?Thank you. We’re excited about your passion Sonya, thanks so much for contacting us.We love partnering with our community members, and invite you to fill out our Contributions and Sponsorship form on our website. (https://www.oneunited.com/about-us/community-education/contributions-and-priorities/) so we can learn a bit more about this opportunity and any possible next steps. Hello, Sonya. Where are your books available? I highly appreciate this article. It is extremely important for more people of color to start getting involve in all facets of the community. Protest can only carry us so far, therefore if we want changes, we must get involve. & become the change by participating in things like law & politics to eventually change the social justice system. My name is Rev. George Turner. It is of great importance to see that these resources are available to more Rural Community and States. This is one of the greatest accomplishments for the Black Community in the last 50 years. I pray that more Ministers will support this organization.